The 7 Best Skate Shops in Iowa! Skate shops are a unique business within the retail environment. These shops have a passion for skateboarding, and the lifestyle that goes along with it. Next time you’re in a need of a new board or gear, check out these seven great skate shops in Iowa. Serving as a central meeting spot for the skateboard community in Ames and beyond, FLC Skateshop was created and founded by Georgie Tsushima, professional skateboard videographer and advocate. When Georgia passed away shortly after opening the store in 2015, his family and the community that surrounded him kept the doors of FLC open and flooded with people. Check out this staple skate shop for yourself, and make yourself a part of the FLC family. A skate shop vision created by Nate Sherwood, Eduskate of Cedar Rapids has much more than just an awesome collection of skateboards and accessories on its shelves. It’s also an active player in the Cedar Rapids skateboarding community. 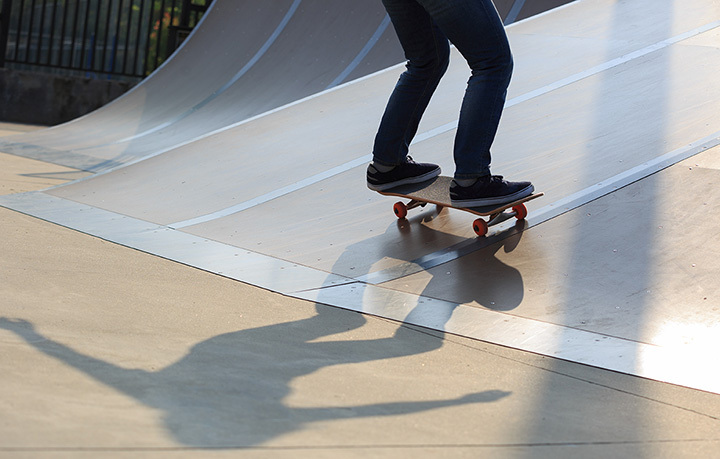 Hosting events, attending city council meetings and spreading the good word about exploring life on a skateboard, Eduskate is a great example of a business and passion blended together. Even if you aren’t in the market, if you are a skateboarder at all, it’s worth stopping in and saying hello to the friendly staff and atmosphere of Eduskate in Cedar Rapids. Subsect Skate shop has been providing the Des Moines metro with skateboards and apparel for over 15 years now, and has included store locations in Urbandale, Valley Junction and now in their current and final location in the East Village. This stylish skateboard shop can not only give the perfect wheels to cruise through the streets, but also plenty of clothing options to look good while doing it. Featuring t-shirts, shoes, decks and everything you need to ride the day away, this Des Moines skate shop has it all and then some when it comes to skateboarding. Reality Check of Dubuque is a locally owned skate and snowboard shop that also specializes in body piercings. So, whether you are looking for a new deck to slap some wheels on, or a belly button piercing just in time for swimsuit season, the friendly and community orientated staff at Reality Check has you covered. The bottom line for Reality Check is the people they serve and the community they represent, making each customer that walks through the door a small part of their family of skaters and like-minded thinkers. Featuring everything you need to enjoy the summer sun, Bikes, Boards & Shades of Spencer stocks all the above-mentioned products, and sells them with a smile in an inviting retail space. Whether you are looking for a new board to hit the half-pipe with, or a bike to get you there, even some shades to block the sun and look good while doing it, Bikes, Boards & Shades has it in stock and ready to be tested. Here to help you live the alternative lifestyle you’ve want to live, Unkl Ruckus’s Smoking Emporium and Skate Shop specializes in two different marketing areas, and whatever brings you to this Des Moines shop on Urbandale, you’ll find a big selection of what you need. Featuring skateboard decks and accessories, plus vaping supplies and disc golf Frisbees, Unkl Ruckus is all about supporting a lifestyle of your choosing, and the friendly staff is all about helping you find the recreational supplies you need to enjoy it. With an original location in Iowa City, and a new addition in Davenport, there is double the chances to get the entire set-up at The Full Kit. Featured primarily as a clothing and footwear provider, The Full Kit specializes in looking good while riding down the street, and with a long list of skateboard manufactures and brands to order from, they also specialize in providing the right ride you’re looking for. Whatever it is you’re hoping to find at The Full Kit, whether it’s a new deck or some matching shoes, you’re guaranteed to find the skateboard culture in full stride at either of the two locations.